Hi! My name is Reina Salky and I am from a beautiful town in Colorado called Steamboat Springs. I chose to embark on my journey to Israel after my cousin Eli, an Aardvark alumni, came back and shared all of his incredible experiences with me. Before I came on this program, I had no idea what path I wanted to take in life. This year I had the opportunity to volunteer at two amazing hospitals. This opportunity opened my eyes to my passion for children and healthcare. Thanks to Aardvark, I now know that studying to become a pediatric nurse will be in my future. In addition to aiding in my decision to become a nurse, Aardvark allowed me to become more independent due to the amount of responsibilities I had as a participant. Living in my own apartment with people who were once complete strangers, I learned to cook, clean, and live with a variety of different backgrounds and cultures. Although, this was definitely a challenge at times, this experience has allowed me to mature and become self-sufficient. My most memorable moment on the program was when I said “goodbye” to my Aardvark family. This was such a special moment because I knew it was not “goodbye”. I know these people will be with me for the rest of my life. During my time in Israel, I was able to experience the magic of Tu BiShvat. During this holiday, we traveled to Tzfat to get a firsthand experience of the celebration. This was my favorite because we got to dance, sing, and immerse ourselves in the Jewish culture. Being raised as a Reform Jew, I have never fully captured the essence of this holiday. After such a life-changing year in Israel, I am going to miss the feeling of acceptance. It is so amazing to walk around knowing that I am not a minority by being Jewish here. My advice to those coming to Israel on Aardvark in the future, is to not take any opportunity for granted. Make the most of every moment because it goes by incredibly fast. Be sure to get to know every one beyond a surface level and take advantage of being so close to many other amazing countries. 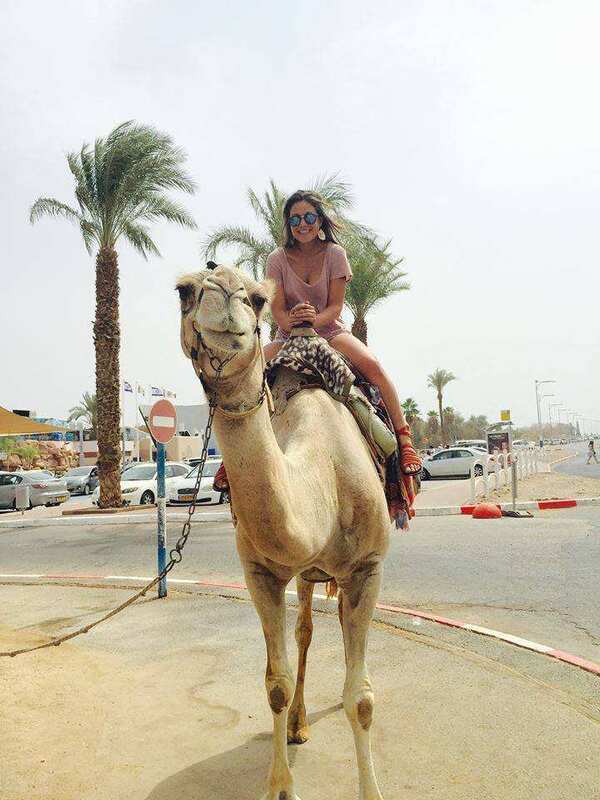 Last but not least, make sure to snorkel in Eilat, do acro-yoga, eat lots of hummus,and ride a camel!!! Thank you Aardvark and friends for an unforgettable year.